TIP: Always check the home page to see if we are away at a show, or taking a short break. Dates when we cannot send out orders are listed. Welcome to the new website, launched late August 2016, if you are having problems, please drop us an email via the contact us form and be specific about the problem as that will help speed up the solution. We may experience a few teething problems, but will be on to them straight away and get back to you. If you submitted an order and have not had a confirmation email within an hour, please check you cart is empty, if yes contact us, if not, you probably did not finalise the order. 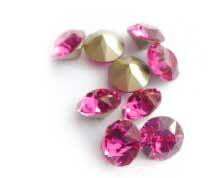 We offer a first class service and can get most orders out within 24 hours of receiving payment. This is only if we have all items in stock and payment has been made correctly. Please keep an eye on your emails and follow instructions accordingly, It will save time and get your beads to you quicker. Do you have a shopfront ? No we are an internet only business. We are based in Highett, which is bayside Melbourne. Do you sell anywhere except on line ? 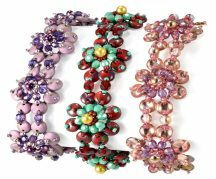 Yes, we do, you can purchase a selection of beads at the monthly Bead Society of Victoria meetings at Carnegie Library and at selected shows. Info will be posted on the website about which shows we are attending. Can I pick up orders ? Yes you can pick up order from the home studio. Please contact us prior to selecting this option to make arrangements. You can also place an order on line and arrange to pick up at the Bead Society meetings at Carnegie Library on the 2nd Sunday of each month or any shows or events we may be attending. Are you registered for GST ? Do you sell wholesale as well as retail ? No, as we are a small business, we do not carry the volume necessary for wholesale. I want to buy some products in bulk, but you don’t offer wholesale prices, can I arrange a special order ? Yes, while this is not strictly wholesale, we are willing to order seed beads in bulk packs, however this will have to wait until our next order. Please contact us to discuss details. 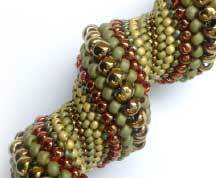 I want to get some beads that you don’t stock, do you source special orders ? Yes we do, We have several suppliers so ask us and we’ll see what we can do. 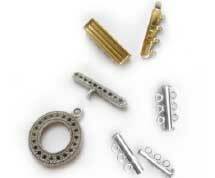 You are welcome to look at beadsmith.com as you can see all their products, I can provide a quote of you send me the details, description and code and can add it to my next order – this maybe subject to minimum quantities, but these are generally not too high from Beadsmith. 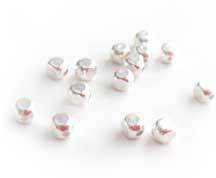 Also we can get retail quantities of practially all Miyuki beads, so if you have a code and colour description, please contact us and we’ll get back to you with a quote and estimate of when we can supply this. You can use your credit card via paypal, you don’t need to have a paypal account to use your credit card. You can pay by internet banking, (bank transfer or pay in over the counter at Bendigo Bank) or you can use PayPal. During the checkout process if you select paypal, you will be redirected to paypal to process your payment. Use your order number when making any payments by bank transfer. 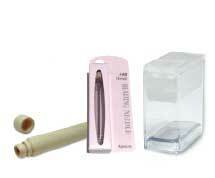 For Australian orders we offer regular post, or Express Post. For international orders we post airmail. I’m having trouble creating an account ? Make sure you are not getting an error message on any field when you complete the information. If problems continue contact us and will we take a look at the problem. No you don’t but if you do it will save you time next time you want to order as it will save your address, plus you can look back at what you purchased previously. No, we don’t, order as little as you want, but keep in mind postage costs, so you may want to order a few things to make the most of postage costs. 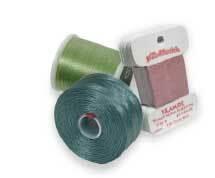 What quality are your seed beads ? 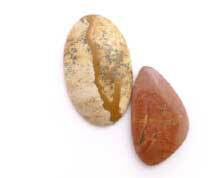 They are Japanese seed beads – the best quality in the world. 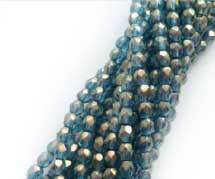 They are more uniform than other seed beads and have larger holes enabling several passes of thread. We also offer a small range of Czech seed beads, mainly Charlottes, these are also good quality, but do have smaller holes. Why do some of the seed beads state the brand and other just say Japanese ? We source our seed beads from several suppliers, some deal with all three manufacturers so they can provide an optimal supply of colours, and are not able to provide the exact brand.